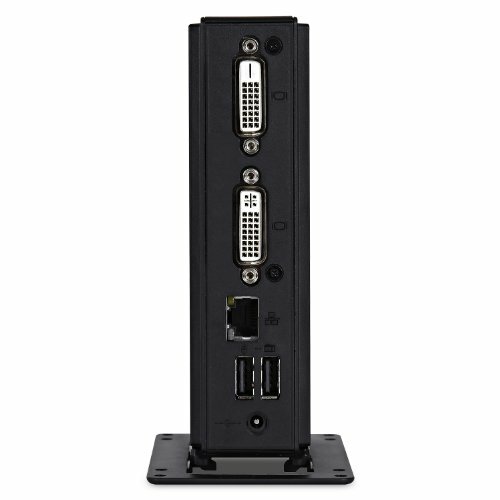 The ViewSonic SC-Z55 discrete zero client is the perfect solution for companies seeking a seamless desktop experience with ultra-high security and reliability in VMware Horizon, VMware Horizon DaaS, Amazon WorkSpaces, and Remote Workstation environments. This is a true zero client device and features no local memory or moving parts for the ultimate in energy savings and reliability. Based on the Teradici Tera 2321, with hardware accelerated PCoIP, the VMware Horizon certified design guarantees performance and compatibility in your network. Dual video outputs provide flexibility for supporting dual 1080p digital displays, and the eco-friendly design consumes up to 90% less energy than standard PCs. The SC-Z55 is also a space saver-its 0.6L form factor easily attaches to your VESA-ready monitor with an included VESA mounting bracket. ViewSonic's zero clients are the smart choice for optimizing your virtual desktop deployment.